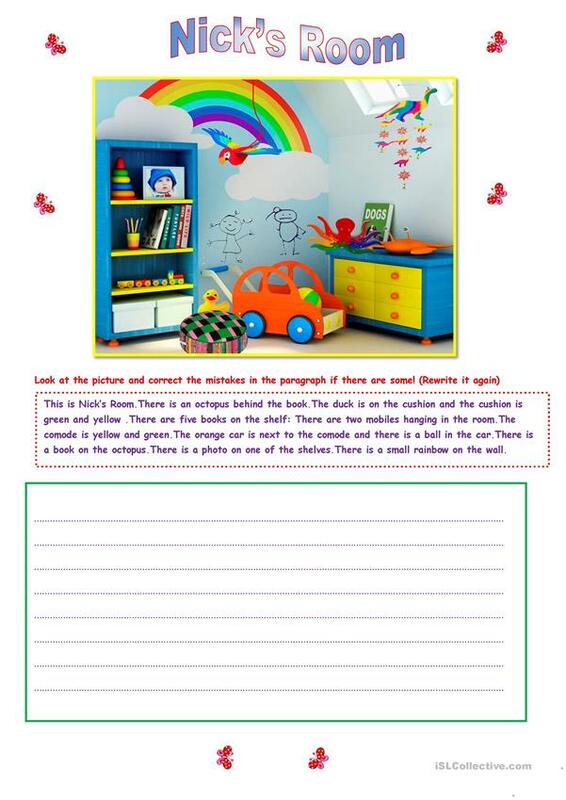 Picture description & sts have to correct the paragraph. The present downloadable teaching material is recommended for high school students, elementary school students and students with special educational needs, learning difficulties, e.g. dyslexia at Beginner (pre-A1) and Elementary (A1) level. It is great for practising Nouns and Prepositions in English, and was designed for developing your groups' Speaking, Reading and Writing skills. It centers around the theme of Home.